Jo Fahey. (2012). Ways to Learn Through Inquiry: Guiding Children to Deeper Understanding. Printed and bound by EPC Direct on behalf of Cardiff: International Baccalaureate Organization. ISBN 1906345767, 9781906345761. When you meet Jo Fahey in person, you are met first with a smile and then by conversations that leave you with a warm, fuzzy feeling. You immediately get a sense that this educator professional is going to share everything she knows very openly with you. 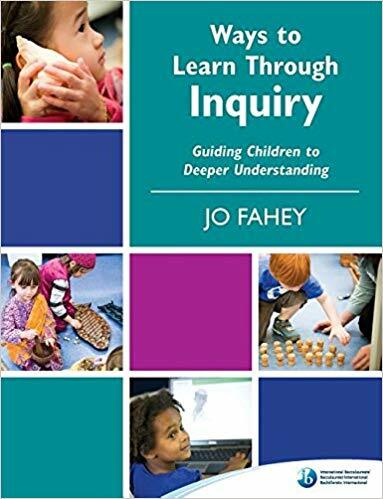 If you haven’t been lucky enough to meet Jo Fahey in person, her book is written with the same spirit of openness, leaving you feeling like you’ve been given a large educational hug and been invited into a conversation with the author about best practices in the early years. 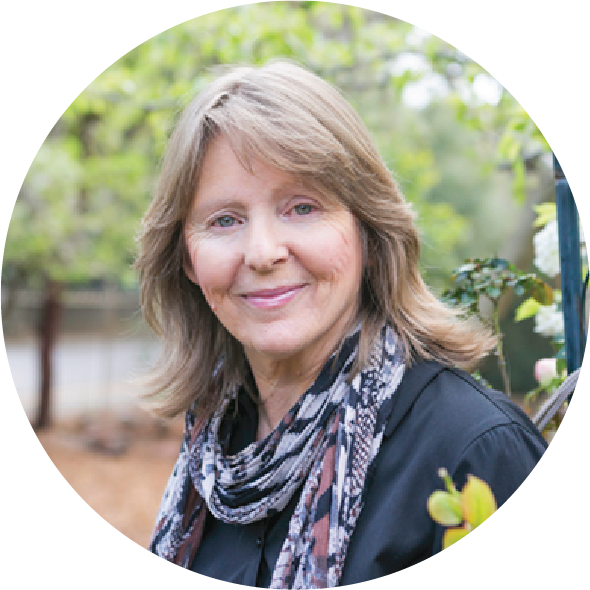 Fahey’s experience as an early years practitioner and researcher in classrooms is evident in the many resources she shares in her book. As one of the educators involved in the PYP’s inception when it was a part of the International Schools Curriculum Project (ISCP), Fahey has a deep understanding of the origins of the International Baccalaureate (IB) Primary Years Programme (PYP). This curriculum framework is an inquiry-based programme and Fahey’s book is a rich resource of the multiple ways teachers foster early learners to learn through inquiry. Unlike other leading inquiry-based learning gurus (such as Kath Murdoch and Kathy G. Short), Fahey’s first name isn’t Kath and she hasn’t created her own inquiry cycle or model. Instead she clearly states that “...inquiry is dynamic and organic” and that one’s understanding of inquiry is always evolving. Fahey also makes it very clear that the units presented “are not intended to be off-the-shelf resources” (Fahey, 2012, p.2). 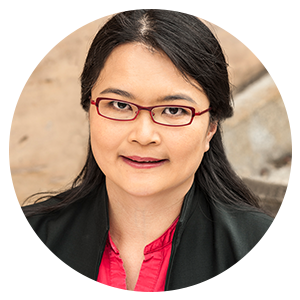 Her book uses her doctoral research into inquiry-based learning theories and research work in early years classrooms. Observations of ways children inquire in the early years is documented and shared through units of inquiry; learning engagements and samples of student work. An abundance of photographs illuminate the described student learning. To make ideas accessible Fahey has strategically coded tips, suggestions and strategies with icons. Each chapter is full of detailed learning engagements that are authentically linked to concept-driven units. Inquiry and assessment strategies are described in detail with variations and tips to inspire teachers with their own implementation. Fahey organises these practical examples through looking at inquiry with different lenses. Inquiry is seen as language acts, as tensions, as problem-posing and problem-solving, and play is seen as a way of inquiring. Chapters of her book share how teachers can promote early learners’ inquiries through key strategies such as sharing read-alouds and responses, through organizing ideas, role-play and drama, research and the arts. These are strategies that every well-trained teacher is familiar with. Although the pedagogical ideas are nothing new or technologically innovative, the way Fahey walks readers through PYP units of inquiry is inspiring to read as she explains with careful intention the purposes of these strategies, how to support learners’ engagement in the early years and how best to identify, interpret and document the learning that is occurring. This makes the book very practical and a must-have for all PYP educators working within the 3-8 age group. “The power of play will become the primary vehicle for inquiry, supporting thoughtful and intentional opportunities for child-initiated play, hands-on learning, and the co-construction of learning between teachers and young learners. Through play and exploration, students will learn to inquire as they build and test theories to help make sense of the world around them” (IB PYP Curriculum development office, 2017, p.3). Fahey’s book is, a deep-dive into exactly this; ways to learn through inquiry, play and exploration. Another way in which Fahey’s book is in alignment with the new PYP enhancements lies in her understanding of the learner and valuing of young learners’ agency. “Valuing agency begins by accepting that students are capable learners and natural inquirers. Members of the learning community are encouraged to regularly reflect on how their decisions regarding time, spaces, materials, interactions and relationships support student agency” (IB PYP Curriculum development office, 2017, p.2). These concepts are explored throughout Jo Fahey’s book and the ideas she shares transfer to the new, enhanced PYP. If anything, it is of vital importance to understand the fundamental ideas in Fahey’s book from which to further develop with the PYP enhancements. As a primary school educator and pedagogical leader, Fahey’s book and workshop has opened my eyes to the wonder of the early years and I have taken away many new understandings which I now apply to my own parenting of a toddler as well as in my discussions with early years colleagues. So, if you are a PYP Early Years (infants: grades K-2) teacher, are new to the PYP, or a pedagogical leader then this book is a must have in your professional library. Fahey, Jo. (2012). Ways to Learn Through Inquiry: Guiding Children to Deeper Understanding. Printed and bound by EPC Direct on behalf of Cardiff: International Baccalaureate Organization. ISBN 1906345767, 9781906345761. IB PYP Curriculum development office. (2017). "The Learner in the Enhanced PYP." Newsletter update, International Baccalaureate Organization.